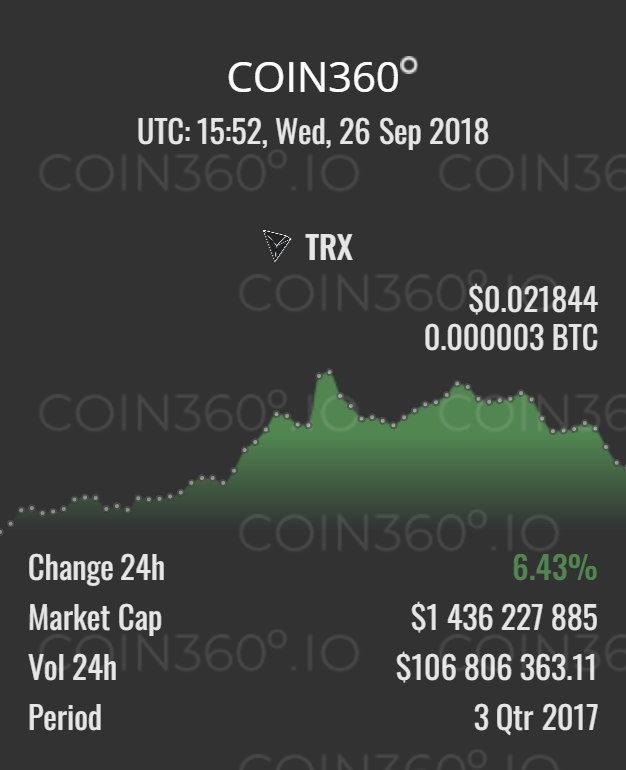 Tron (TRX), has been in the crypto scene for some time now, but due to price actions, the digital coin has been on the low. 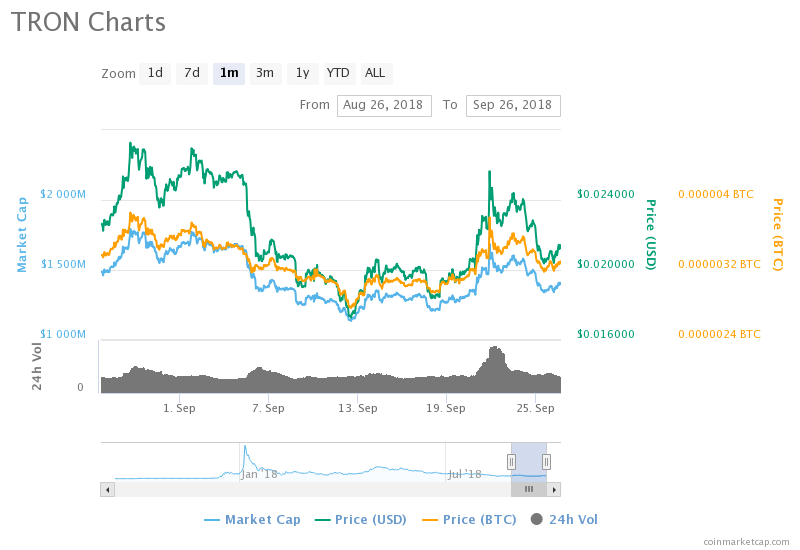 Coming into the month, many experts believed Tron was going to do better than previous months but that very far off as it the early stages, the coin Recently saw an 8.46% drop in price in just 24 hours. That drop marked a 25.75% dip in its price in just a week into the month and an alarming 59% dip over the past 90 trading days. The digital coin had high hopes of changing and owning the entertainment industry by creating a decentralized system where data can’t be controlled, but recent events have pushed it further away from its goal. The 13th largest cryptocurrency by market capitalization has been under the scope of many investors, and now many believe the storm has passed and moving forward, positive vibes are expected. 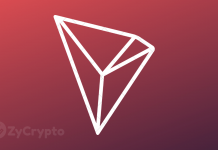 Tron is being tipped by many experts to rise in the coming days, given recent developments surrounding the currency. Headlining the list of positive reinforcements for the coin is being lined up for trading on Bittrex, one of the biggest cryptocurrency exchange in the world. Tron’s platform is also Dapps friendly and this is has been attracting Dapps developers on Ethereum’s Blockchain. Tron recently unveiled a project dubbed the SeedGerminator, an accelerator created for developers who want to produce different products such as tokens, Dapps, and other technology on its network. 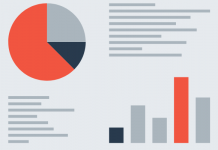 The confidence of Tron’s team, on its platform, is now crazy as even the founder and CEO of the digital asset, Justin Sun recently urged developers to deploy Dapps to Tron blockchain rather Ethereum, because they are 100 times faster than them. Sun stated that “Tron Virtual Machine is fully compatible with Ethereum Virtual Machine and migrating to the Tron network will cost developers almost nothing.” With many developers falling in love with the new initiative, Tron’s price could see a rise within a short period. 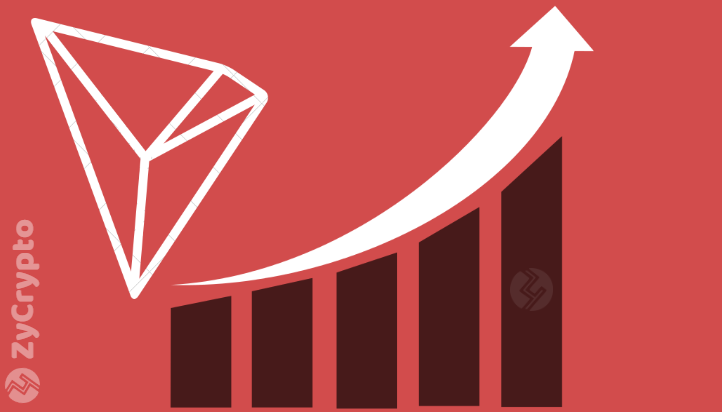 Already, Tron has seen an increase in its owners, with its TRX movement pushing to $200 million daily. Price predictions in this current cryptocurrency market could be highly flawed. However, the possibility of investors making some extra gains of Tron should be embraced. Currently trading at $0.021, it is a cheaper option for potential investors as compared to other coins. The developments in the Tron ecosystem of late are promising and should that stay so; the coin could be in for a surprise.